This hymn is a translations/paraphrase of the Te Deum, the great hymn of praise and thanksgiving of the Church. 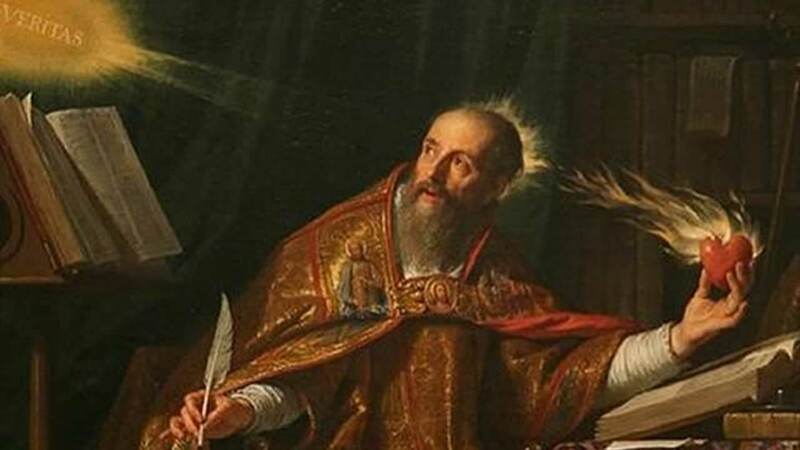 It has been attributed alternately to Nicetas of Remesiana and St. Ambrose. We amidst the throng would be. “Hail, thrice holy, God most high! Be the same loud anthem ours. For Thy children here to do? Things that to the wise were sealed. Early we Thy cross would bear. And the Spirit’s soothing aid. Number us among Thine own.! Spare Thy people, Jesu, spare! Words: attr. St. Ambrose, 4th C.; tr. James Elwin Millard, 1848. Tune: “Urquell Aller Seligkeiten“ C. Kocher, 1786-1872. We amid the throng would be. And a crown of Glory wear! And the Spirit, Three in One. Amen. The original Latin text of this hymn may be found here. This entry was posted in Ambrosian Breviary, Authorship Debated, Unknown, To Be Determined, Breviaries, English Translation of Non-English Hymn, Hymns By The Greats, Matins/Office of Readings, Non-English Hymns, Offices of the Breviary, Paris Breviary, Praise to God, Roman Breviary, Saints of the Church (Canonized or Beatified), Sarum Breviary, School Festivals, St. Ambrose, Thanksgiving, The Holy Trinity, The Liturgy of Hours/Breviary, The Liturgy of the Church, Times of the Year and Holidays (Non-Liturgical) and tagged Ancient Hymns, Breviary, Catholic Hymns, Christian Hymns, English Translations of Non-English Hymns, Hymns Ancient & Modern, Hymns of Praise, Latin Hymns, Matins, Orthodox Hymns, Paris Breviary, Roman Breviary, Sarum Breviary, School Festivals, Thanksgiving, The Holy Trinity. Bookmark the permalink.